At Wall Street English, teaching English is about making a difference in our students' lives. Our goal is to break down the barriers of language and culture. We are seeking professionals who are seeking international experience and adventure, committed to working in a fast-paced and student-centered environment. Our VIP program takes our method teaching out of the centers and into the students’ homes and offices. These programs give the students all the time they need with both native and local teachers. As a Wall Street English Coach you can travel throughout the city and teach a variety of students from a range of materials. 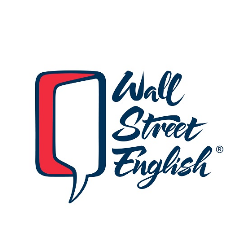 At Wall Street English Teachers here don't just teach for a school - they gain access to career development, promotion and advancement opportunities, and top-notch training. You can teach here for a year or make a career out of Wall Street English - the choice is yours! - 17,000- 22,000 RMB/m: Salary depending on city and experience. - 2,400- 4,000RMB/m: Possible monthly bonuses. - 800 RMB/m: City travel allowance & mobile phone allowance. - 500 RMB/m: Seasonal allowance (Winter & Summer).